Looking for a place to mingle with friends and stay out of the cold on Halloween night? Take a special trip up to Maserati of Baltimore on Friday October 31st for a frighteningly fun night with the Baltimore area Children’s Guild volunteers and the M.O.B. Exotics Guest Services team. Conveniently located at 1630 York Road in Lutherville Timonium, Maryland between 695 and the Maryland State Fairgrounds, we know there will be plenty of opportunities for Trick-or-Treating in the nearby Baltimore County communities. The team at M.O.B. Exotics will be on hand with hot cocoa, cappuccino, espresso, herbal tea, and a big batch of warm spiced apple cider to take the chill out of the evening. Folks without young ghouls in tow will be treated to friendly company and “Race Shop Livations” to warm the spirits of the oldest souls and given a comfortable seat so they can stay off the roads during all trick-or-treating hours safely while enjoying a bit of the atmosphere an exotic car museum or dealership brings to any community. Throughout the night, we’ll have bits and bites of sweet treats to tide us through. For the Mbalt staff and client friends, we’ll have light dinner snacks delivered around 8pm, too. Parents and Visitors dropping by will be able to pick up a special treat of their own–a coupon for an appointment for a ride and drive in a 2009 Maserati Quattroporte that can be redeemed any time between Halloween and Thanksgiving. Even better, each person arriving dressed in their finest race car driver apparel or will be given an additional “hot seat” ticket to ride shotgun in a Maserati 2009 Granturismo or 2008 Lamborghini Gallardo any time between now and New Years Eve. We’ll have our cameras ready to capture the moment of any costumed visitors we might see–and photos after the date will be available in the October 2008 photo collection at http://www.flickr.com/mobexotics. Beyond costumes, I think you can tell by the photos that the Davis family (Jack, Kae, and Drew) also take their pumpkin carving quite seriously. 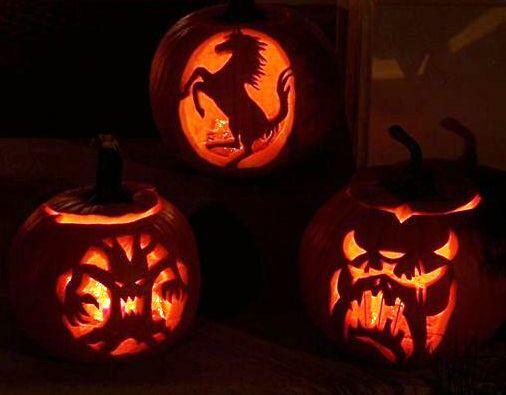 Yes, they really carved the ghoulish goodies you see posted here above–with General Manager Jack Davis carving the most fashionable new Jack-o-Lanterns that would make the chic-est headless horseman Ferrari pumpkin attire the car guy world has ever seen. Bring a carved pumpkin, candy to distribute, or extra pumpkins for Maserati of Baltimore to help decorate our showroom for the evening and receive a complimentary car wash from our Lot Porters on the Guest Services Team. Each person who comes in costume or dressed in full Race related attire will also be eligible for a 20% discount on any boutique merchandise purchased any time Thursday October 30, Friday October 31, and Saturday November 1, 2008. Contact Parts and Boutique Manager Vincent Veiga for more information about other merchandise specials for Lamborghini, Maserati, and Ferrari fiends. Special thanks to Speed Millet and his staff and crew at Speed’s Cycle in Elkridge, Maryland for hosting such a relaxing all-day Fall Open house on October 18, 2008. To see photos of Speed’s Cycle and the event click HERE. To visit Speed’s Cycle online please visit www.speedscycle.com. If you have been to the Maserati of Baltimore showroom lately, you already know that Speed has been keeping a fantastic rotation of the hottest new Moto Guzzi and Ducati bikes on display in our exotic car dealership. 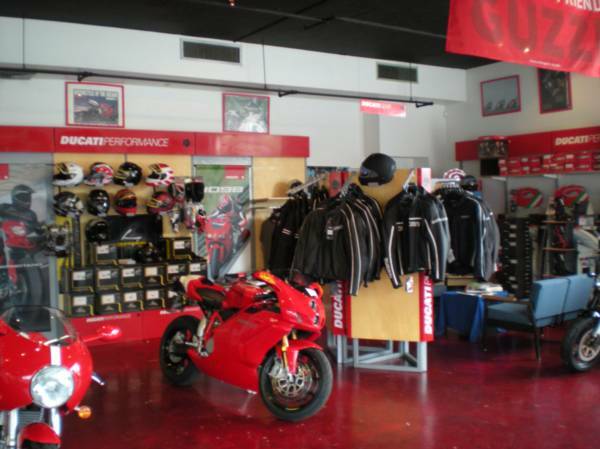 We are also happy to offer the most fashionable selection of Italian leather motorcycle wear on consignment from Speeds Cycles, giving race fans and adrenaline junkies fantastic shopping opportunities through the M.O.B. Exotics race Fan Boutique. As we approach 2009 and the colder weather of the winter months, we are pleased to announce that we are already planning an indoor exotic car and motorcycle show. We’ll have our fabulous models back and modeling the hottest race gear and fashion while they mingle with the crowd and silent auction items will be available to bid on with proceeds to be directed to NIAF–the National Italian American Foundation. Keep you eye on the blog in the next several weeks for a date confirmation. Until then, keep a careful watch out for motorcycles while you are cruising the “fall colors” while leaf looking along our Maryland and DC Metro area roads. To donate directly to the NIAF Organization, please visit www.niaf.org. Excerpt from http://www.redcross.org requesting assistance on behalf of the victims of Hurricane Ike. To make a financial gift to the American Red Cross Disaster Relief Fund, log-on to www.redcross.org or call 1-800-RED-CROSS (1-800-733-2767) or 1-800-257-7575 (Spanish). You can also use your cell phone to donate $5 to the American Red Cross Disaster Relief Fund by text messaging they keyword “GIVE” to “2HELP” (24357). You can send multiple donations depending on your carrier. Contributions will appear on monthly bills or be debited from a pre-paid account balance. All applicable text rates apply. Mark your calendars and get your appetite ready for an evening of culinary delight in Baltimore city. Tuesday October 28th, 2008, join Maserati of Baltimore at the annual March of Dimes fund raising special event and auction from their nationwide “Signature Chefs” series. Happening at the Baltimore Marriott Waterfront Hotel in Downtown Baltimore’s Inner Harbor district [700 Aliceanna Street, Baltimore, MD], tickets are available to singles or for a discounted rate when purchased as a VIP or corporate group table for 10. Whatever the size of your party, expect the $150 ticket cost (or $2000 premium tables for VIP guests) to be treated to an epicurean affair to remember. Signature Chefs Auction of Baltimore features more than 35 of the city’s top chefs for an evening of culinary tastings. The event will include a live auction of unique dining packages donated by the participating chefs. Special guests include Hell’s Kitchen 3 winner Chef Rahman “Rock” Harper. The 2008 host chef is Tim Mullen. You need a Ducati… or maybe a Motoguzzi… (or at least the hot Italian leather outfit). Join Maserati of Baltimore and friends on Saturday October 18, 2008 in Elkridge, Maryland at a very special and fun annual gathering of motorsport enthusiasts. Cost: Free to Spectators, Discounted Merchandise for M.O.B. Exotics friends. Speed fans and Italian vehicle lovers are invited to join Maserati of Baltimore at the 2008 Speeds Cycle Fall Open House in Baltimore County, Maryland with friend Speed Millet. Open 10am-4pm, adrenaline and fashion fans will be able to browse the Ducati dealership and Motorcycle Wear Boutique while enjoying the view of bikes, Lamborghinis, Maseratis, and Ferraris on display from M.O.B. Exotics. Door Prizes of Gift Certificate 25.00 & 50.00 will be awarded to lucky visitors, with the the Big Prize $750.00 Off MSRP on select Ducati Models. With catering by local Baltimore authentic Italian deli “DiPasquale’s Market Place”, the day is sure to satisfy all your cravings for delightful surprises from Italy. Visit www.speedscycle.com for more information or driving directions. Contact: Speed Millet at speedslogin@comcast.net or Jack and Kae Davis at mobexotics@gmail.com to join in the fun–satisfy your lust for all things Italian. Maserati of Baltimore Guest Services team wants to extend thanks to all our rider guests and the parade organizers from Columbus Celebrations, INC. Thank you for allowing us to participate in the celebration October 12, 2008. We were so honored to chauffeur Baltimore’s Italian American special VIP guests and local award winners, including the Italian consulate, through the streets of downtown Baltimore. 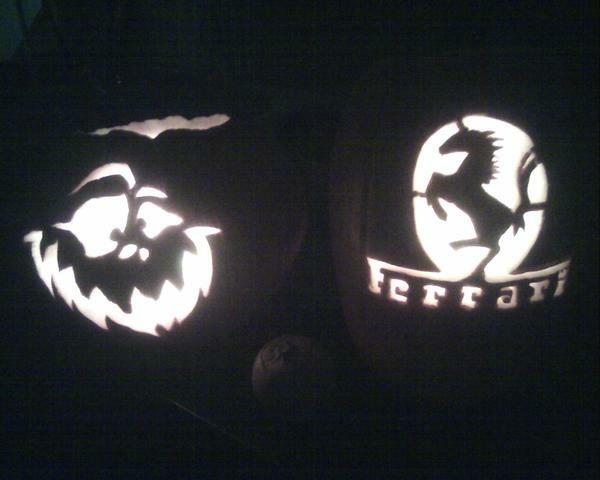 Your group has done our own Italian family girls proud (Lamborghinis, Maseratis, and Ferraris). Landing at the end of the parade in the heart of Little Italy, we were overwhelmingly wowed at the outpouring of love, pride, and community support that welcomed Maserati of Baltimore’s M.O.B. Exotics Cars into the community. In addition, we want to say a special word of thanks to Will and Donna Matriciani for connecting us with Nick Vaccaro this summer. For those of you who participated and remember, Vaccaro’s Italian Pastry Shop, INC was one of the sweet treat sponsors at the 2008 Maserati of Baltimore Rally for the Troops. On cookie overload, the guests and visitors who braved Tropical Storm Hanna to come out in Baltimore and show their love and support for the USO Metro and our brave American Troops helped raise some sweet cash to keep the moral of our soldiers flying in and out through BWI, DCA, and IAD airports high. All the proceeds of the day were used to help fund the soldier lounges that are used by all our American heroes coming in and out of the DC Metro region. If you have not eaten Vaccaro’s Italian Pastries or been to one of their fantastic locations yet, visit www.vaccarospastry.com to find out more information about their fantastic dessert selections. Special Thanks to Nick Vaccaro and Staff for taking such good care of the Maserati of Baltimore Team after the Parade. Click HERE to see photos taken of our exotic cars parked and the Maserati of Baltimore Guest Services team “eating dessert before dinner” at Vaccaro’s in Baltimore’s Little Italy. Every Monday night from 6:00 P.M. to 9:00 P.M. Nick Vaccaro offers guests an all you can eat dessert and coffee special for $12.95 a person. This is for their sit-down café in Little Italy only. Maserati of Baltimore guests please note that Monday holidays are excluded; parking at Dodge Garage is recommended. How to Participate: CLICK “Register Here” to conveniently purchase your tickets or make a direct donation online! Join the Abilities Network and Maserati of Baltimore on Monday, October 13, 2008 at the ESPN Zone in downtown Baltimore for TIME OUT for Monday Night Football. Tickets are $125.00, which includes the chance to mingle with some of the Baltimore Ravens, a Q&A with the players, appetizers and a dinner buffet, an open bar, and unlimited game cards for the ESPN Zone video games that night! While watching the Monday night football game on the big screen, guests can also enjoy exciting live and silent auctions, which feature exciting sports memorabilia and exclusive packages! Our Corporate sponsors will enjoy a private VIP party an hour before the main event. For more information on how to become a corporate sponsor, click on the links below. So mark your calendars, because this is a one of a kind event you won’t want to miss! 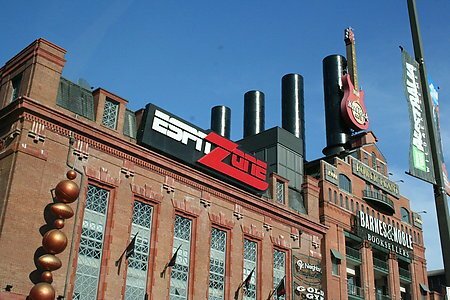 ESPN Zone guests who park in the Pier V Parking Garage, located at 711 East Pratt St., may receive validation for discounted parking. Groups rates are available at the Pier V Parking Garage, which features easy access via Pratt St. and Eastern Ave., and is just a short walk from ESPN Zone. For additional information, contact the garage office directly at (410) 244-2277. We recommend this lot for guests of Capital Grill, P.F. Changs, and Fogo De Chao on a routine basis, as well. For parking that also allows party dining or a late night trip to Vaccarros in Little Italy, we recommend the DODGE GARAGE (just a short group walk down Pratt street across President street). Click HERE to see pictures from last year’s Time Out event! Click HERE to view the Corporate Sponsorship Levels. Click HERE to visit the Abilities Network home page. Click HERE to view the online special event invitation on the Baltimore Metromix site. Click HERE to read the event writeup from TV station WBAL Chanel 11 in Baltimore. Join 98 Rock & Theo for the 2nd Annual Time Out for Monday Night Football. For more information, please call 410-828-7700×1229 or email ldunn@abilitiesnetwork.org. The Abilities Network is a 501(c)(3) non-profit organization that assists people with disabilities to achieve their personal goals and reach their maximum potential. Services are customized to offer individuals and families choices. They provide extensive training opportunities for families, child care providers, teachers, and community members with the goal of fostering inclusion. The children, adults and families serves are affected by a variety of at-risk factors, including a diagnosed disability, lack of environmental supports, low-socioeconomic levels, and limited knowledge about resources and/or the capacity to access them. The Abilities Network has also been awarded the Seal of Excellence awarded by the Maryland Association of Nonprofit Organizations. Certification in the Standards for Excellence program is bestowed only to the most well-managed and responsibly governed nonprofit organizations that have demonstrated compliance with 55 specific Standards for Excellence into all its activities to successfully complete this voluntary certification program. For more information about the Standards for Excellence program, please visit www.StandardsForExcellence.org. 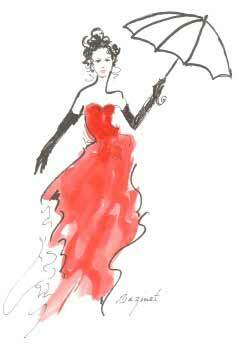 Friends in Red presents “A Spectacular Evening”: Friends in Red have joined Johns Hopkins Hospital to take on the silent disease responsible for the deaths of more people younger than 30 years old than any other cause — Hypertrophic Cardiomyopathy (HCM). On Wednesday, October 29, 2008, Friends in Red will host its second annual fundraiser and auction from 6:30-9:30pm at Shofer’s Furniture store in Federal Hill. Included in the auction will be an opportunity to attend Fashion Week in New York, a thrilling ride in a Maserati at Sumitt Point, original artwork and one-of-a-kind experiences. Tickets are $150 when purchased individually, or $1,350 for a team of 10 tickets. To purchase a ticket, contact Bettye at 410-979-8670 or email your name and phone number to info@friendsinred.org and someone will contact you. to make special pricing and gift packaging arrangements. Come hungry and prepared to have some casual but gourmet dining and exotic car dealership browsing fun. Bring your own favorite beverage or bottle of wine and grab your friends and family. Jack and Kae Davis are hosting a little get together at M.O.B. Exotic Car Gallery and Race Fan Boutique again. 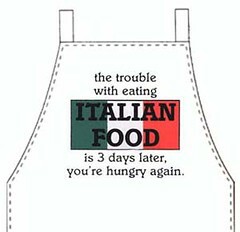 Enjoy a multi-course catered service “Old World Italian Family Style Sit Down Dinner” with the M.O.B. Exotics team and friends. PLEASE NOTE: Special dietary needs can be met with 48 hours of advanced notification [vegetarian, low sodium, food allergy or sensitivity]. Cost per person: appetizers and sweet treat only ($15 from 3-5pm) followed by entree courses and dessert (for an additional $20 from 5-7pm). Light fare diners are welcome to stay and mingle with friends throughout the night. Reservations by email ARE required, seating is limited, BYOB/W, tips to waitstaff and Sweet Lela staff are encouraged. Sunday, October 12, 2008 join your friends from Maserati of Baltimore and M.O.B. 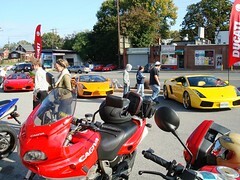 Exotic Car Gallery at the Oldest Continuous Marching Parade in America! 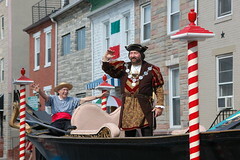 Visit http://www.columbuscelebrations.com to learn more about Columbus Day Parade events in Downtown Baltimore’s Little Italy historic district. Special Theme Hosting by Participating Little Italy Restaurants. Kick Off at Linwood Avenue in Patterson Park ~ Proceed West onto Eastern Avenue ~ Right onto High Street ~ Disband on Central Avenue. Parade Reviewing Stand and Spectator Seating located at Intersection of Stiles and High Streets in Little Italy. Visit http://www.columbuscelebrations.com/photos.htm for a review of past years’ events and to find out more about participating in this historically noteworthy Maryland area event. The mission of Columbus Celebrations, Inc., a not-for-profit organization, is multi-faceted and includes the following: 1) To celebrate America and its discovery. 2) To celebrate our Italian as well as the multi-cultural heritage of our magnificent nation, the United States of America. 3) To support our community, our children and those less fortunate, through charity and creative fundraising events. 4) To continue the great tradition of Baltimore’s Columbus Day Parade, America’s oldest parade and celebration of its kind.